It's clearly a mixed bag, but I will say with great passion that running a PR agency is a "killer" profession for a woman and that the number of successful women-owned agencies is encouraging. About a year ago, at a Council of PR Firms board meeting, I brought up the subject of women owning and running PR firms. It seemed to me that our industry had quite a large number of women-owned firms, more than some other industries. Think Elise Mitchell, Joele Frank, and Melissa Waggener, to name a few. I told the council I thought this was something to play up and promote - our profession is embracing female leadership. Is the PR profession leaning in? A woman on the board who ran a holding company agency soon challenged my rose-colored-glasses view of the PR industry. She said that, without a doubt, at the holding company level, men still outnumber women in the C-suite by massive proportions. She was incredibly avid, quoting statistics and examples with great passion. She said women also still lag men when it comes to pay in PR. The median salary for women is $80,500 while the median salary for men is $125,000. The gap exists at every level and appears to be getting worse, according to this year¹s PRWeek/Bloom, Gross & Associates Salary Survey. And, as a woman who caters to the financial industry where the glass ceiling may be among the hardest, I find that being a woman counselor can be a great competitive advantage. I'm sure that's because I am an entrepreneur and I make my own rules. In other words, I am very conscious that it is better to work serving Wall Street than working within Wall Street. In a world where women occupy a small percentage of leadership positions, I think the PR industry should celebrate its track record of female entrepreneurship and leadership in the corporate and agency ranks. If my premise is correct and the data pans out, our own profession could become a poster child for progress. 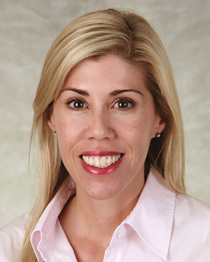 Jennifer Prosek is founder and CEO of Prosek Partners.